Roof cleaning is an important process which not only transforms your property, but protects the roof from damage and prevents the possibility of a whole roof replacement at only a fraction of the price. 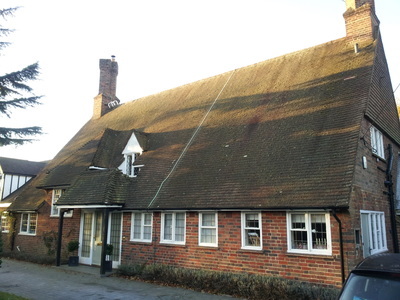 If you have black stains, algae, moss, mould or lichen on your roof tiles, we can clean them properly and then treat them with a fungicide/biocide to prevent early redevelopment. We use AlgoClear® Softwash Pro treatment which is a simple method that has been developed to clean and treat roofs, renders, walls and ground surfaces. 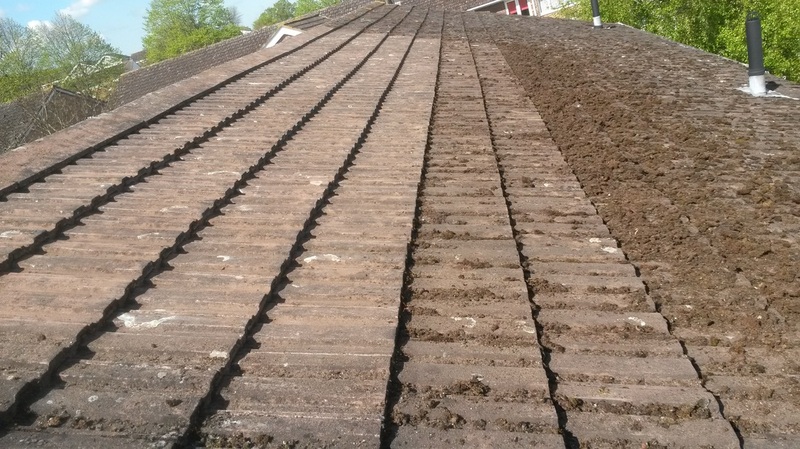 The treatment is non-aggressive, safe to use anywhere on a property, and has even been adapted to suit all weather conditions. The active ingredient in AlgoClear® Softwash Pro is quaternary ammonium compounds which give it a rapid breakdown rate and means it is safe to use alongside any materials used in construction. The product will be sprayed once by our professionals and within a few hours the layer holding the moss, mold and other microbes will die. Firstly, sheets will be placed over the property and ground surfaces for protection. Next, we remove the larger pieces of moss manually with scrapers. 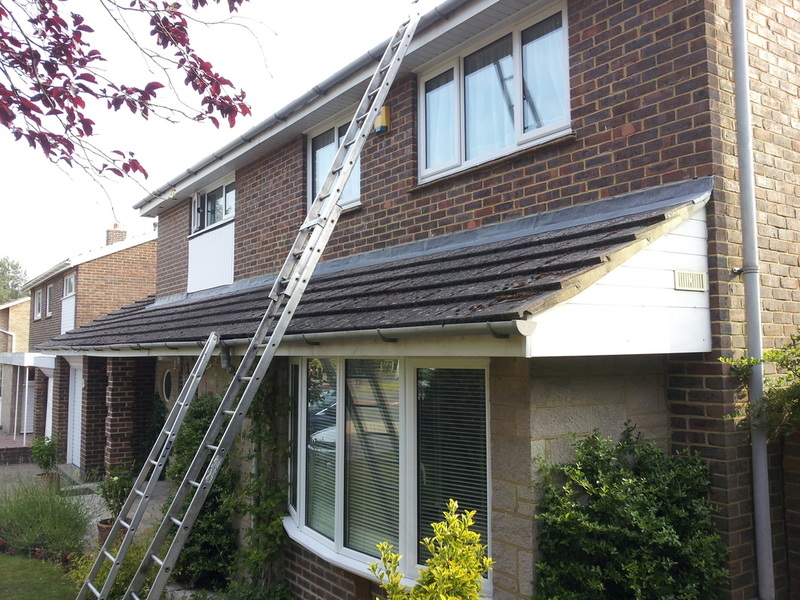 Then we complete a thorough check to all the roof tiles. We will replace any broken or chipped tiles. After this we will clean out all of the gutters. The next step is to treat the roof with the biocide AlgoClear® Pro. Finally, we will make sure to tidy up the area and remove all waste. 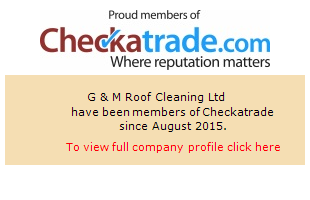 Your roof will then be self-cleaning for up to 12 months. Maintaining your home’s exterior is an important part of protecting and maintaining the value of your investment. 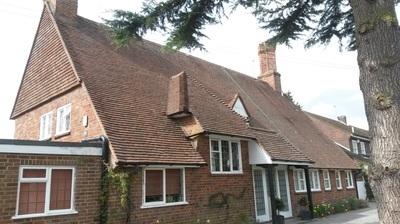 Cleaning the roof prevents damage to the roof tiles from moss, mould, damp, algae and more. Moss will not block the gutters which can lead to more problems. 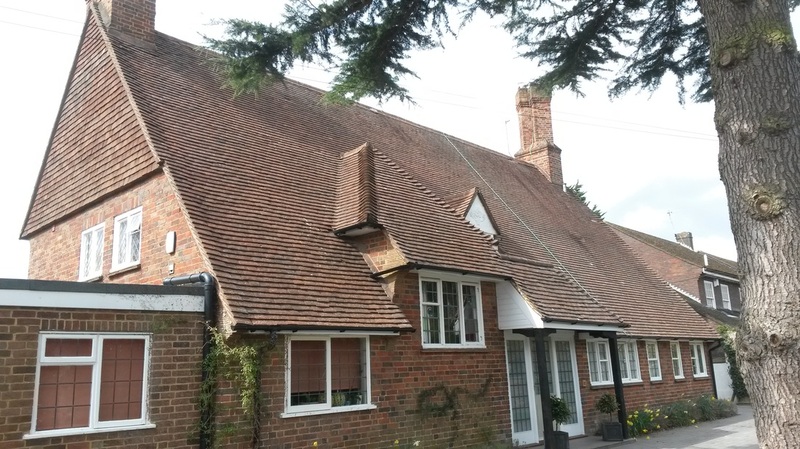 A clean looking roof improves first impressions and the overall character of your property. 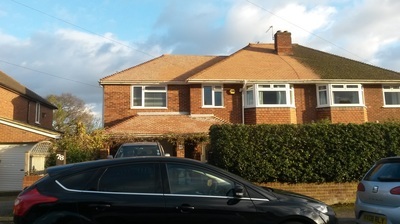 A clean, new looking roof will increase value of your property. Potential buyers will be able to see you have taken care of the property. 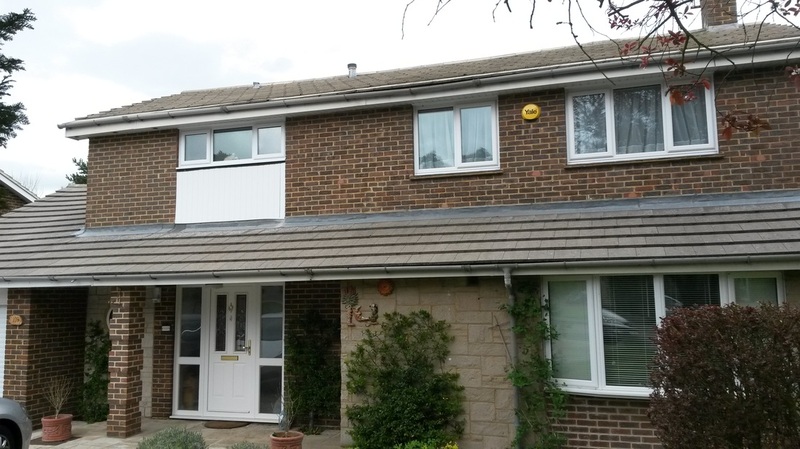 Sustaining a clean roof prevents further damage such as interior flooding, mould etc. Save time and energy from cleaning fallen moss from your patio or footpath. 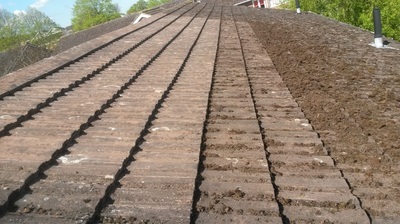 Moss growth is stunted, which will ultimately save the whole roof long term. 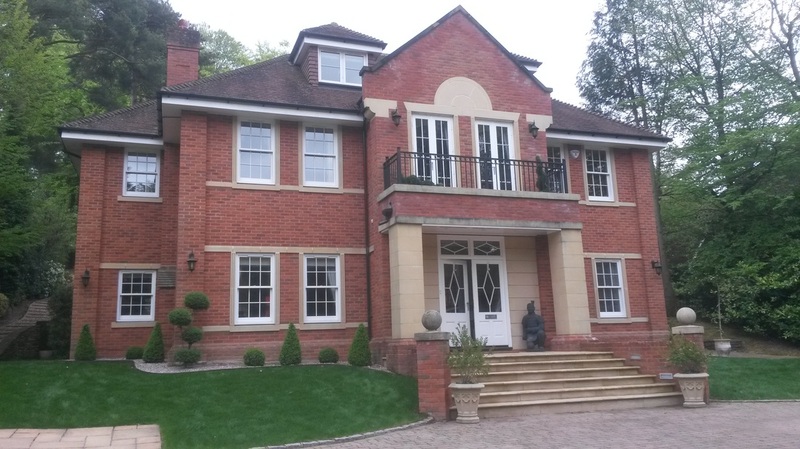 We are available in Ascot, Bagshot, Beaconsfield, Binfield, Blackwater, Bracknell, Camberley, Crowthorne, Chobham, Farnborough, Finchampstead, Fleet, Frimley, Gerrards Cross, High Wycombe, Lightwater, Maidenhead, Marlow, Reading, Sandhurst, Sunningdale, Sunninghill, Twyford, Virginia Water, Windlesham, Windsor, Woking, Wokingham, Yateley, and all areas in between.